It is more evident that Scotland’s referendum on independence has been “rigged.” Observers from Russia say there was evidence of election fraud according to RIA Novosti based in Moscow. Our nations share a proud and emotional history. Over three centuries we have built world-renowned institutions like the NHS and BBC, fought for freedom and democracy in two World Wars, and pioneered and traded around the world. Our ancestors explored the world together and our grandfathers went into battle together as do our kith and kin today – and this leaves deep, unbreakable bonds between the peoples of these islands. Queen Elizabeth also urged the Scottish people to” think very carefully about the future” since it would have political repercussions in the British Empire. After all, the British Empire was never dismantled; it is now behind the scenes. Make no mistake; Great Britain is still an influential empire. Just like its counterpart in Washington with Puerto Rico and Guam as its territories, it too has colonial possessions although they call it ‘British Overseas territories’ in the Caribbean, South and North Atlantic ocean and elsewhere. It is closely associated with Washington’s global Hegemony or what Dr. Henry Kissinger would call the ‘New World Order.’ Major Powers’ have collaborated with each other on global issues since World War I with the United States, Great Britain, France and the mini-empire of Israel leading the way to a unipolar world ruled by an elite oligarchy. Empires of the past and present have caused great harm to humanity. Wars, economic exploitation, political control and other destructive devices have brought misery, pain and suffering to every region of the world. The entire continent of Africa is a perfect example which has been ruled by a number of Western empires throughout its history. Scotland is another country that has been colonized by the British for centuries. Mel Gibson’s academy award winning film ‘Braveheart’ depicted the wars fought between England and its vast army and the people of Scotland who were slaves to the English Monarchy in the 12th century. If the SNP wins independence, it plans to establish a new defence force of some 15,000 regulars and 5,000 reserves. The naval base at Faslane would become the joint headquarters. The Scottish army would include restored infantry regiments, army vehicles, artillery and air defence systems. The air force would have fighter jets, maritime patrols, transport aircraft and helicopters. The navy would include frigates, conventional submarines and marines. There would also be some special forces, and provision for intelligence, counter-terrorism and cyber-security. All this is to be achieved within an annual budget of about £2.5 billion – a fraction of the MoD’s current spending of £34 billion. It is also difficult to envisage a workable alternative to the Faslane naval base, currently home to Britain’s nuclear deterrent and the Navy’s hunter-killer submarines. It would cost many billions to relocate the infrastructure built up over decades, such as the Coulport Naval Armament Depot, which stores our torpedoes, missiles and nuclear warheads. If Britain were expelled from Faslane, there is every possibility that it could be forced into unilateral nuclear disarmament. Why is Britain worried about Scotland’s defense and from whom? Who would attack Scotland? The Western funded ‘ISIS’ terrorist organization? Or from Russia who is threatened by NATO’s expansion close to its borders? I believe Scotland wants peace, not war. They will be diplomatic in every sense when it comes to foreign policy. Great Britain’s history has only shown to be a force for war and occupation. As we have seen in the past, countries that don’t want to operate under the ‘New World Order’ apparatus would be considered enemies of “Democracy.” Russia is an example. So is China, Ecuador, Cuba, Bolivia, Nicaragua, Venezuela, Zimbabwe, Syria and Iran are also enemies of Democracy according to the Anglo-American empire, because the “enemies of Democracy” want their nations to remain a “Sovereign entity”. Not under an “international Order controlled by the West. Over the years, political and financial elites from the U.S. and Europe had planned a single global power to control every nation on earth. In the last century, the establishment has called for a single power of authority that can dominate the financial, political and social landscapes of every nation. In 1992, President Clinton’s Deputy Secretary of State, Strobe Talbot was quoted in Time magazine and said “in the next century, nations as we know it will be obsolete; all states will recognize a single, global authority. National sovereignty wasn’t such a great idea after all.” Well not according to the Scottish people. 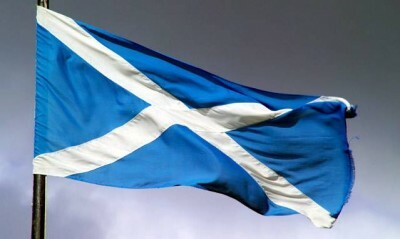 Although they lost the ‘Yes’ vote, freedom and independence from British rule can still become a reality in the future. The reason Western powers oppose Independence for Scotland or any other nation that seeks sovereignty is that they would lose the power of control, a power that seeks to undermine sovereignty. The only time the west supports Independence of any nation if they benefit from natural resources as in the case of the South Sudan’s independence in 2011. Professor Carroll Quigley of Georgetown University wrote in his book ‘Tragedy and Hope’ what was the purpose of establishing the Council of Foreign Relations (CFR) in New York City, an influential institution for Washington’s and its allies concerning foreign policy. He wrote “The Council on Foreign Relations (CFR) is the American Branch of a society which originated in England … (and) … believes national boundaries should be obliterated and one-world rule established.” It’s not over for Scottish Independence. It is just the beginning and the Scots proved it by voting in an unprecedented fashion. What will happen next, a recount? How about a call for a new referendum that will be monitored by the international community? That might work.